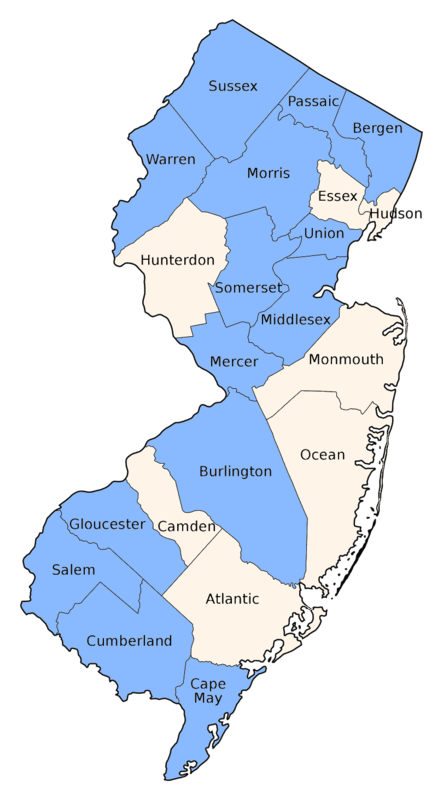 Has been found in the northern and southern counties, but there is no reason why it could not be located elsewhere. 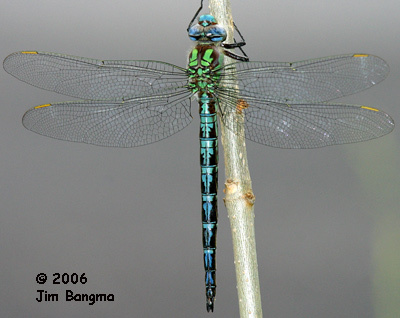 It is quite local and the recorded distribution may reflect the observers' behavior more than the critter's. 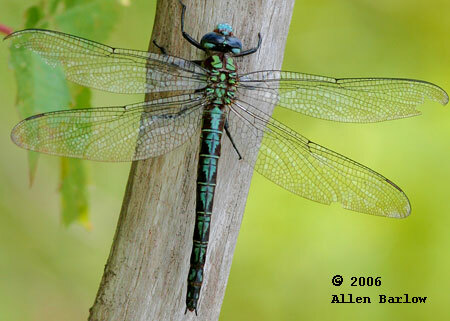 Flies slow patrols over lazy streams and ponds in late morning, chasing off other dragonflies. 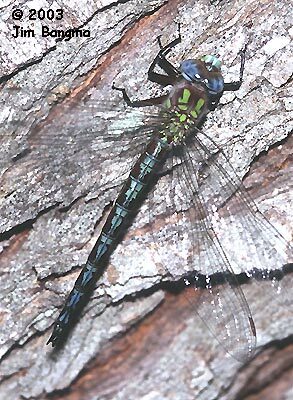 May be found feeding along woodland edges and grassy parking lots. 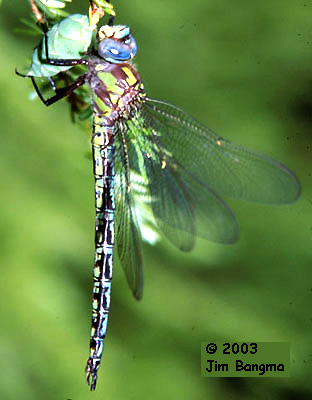 A rather stocky darner with bold green thoracic stripes and blue abdominal spots. The "nose" projects forward and is pale blue. 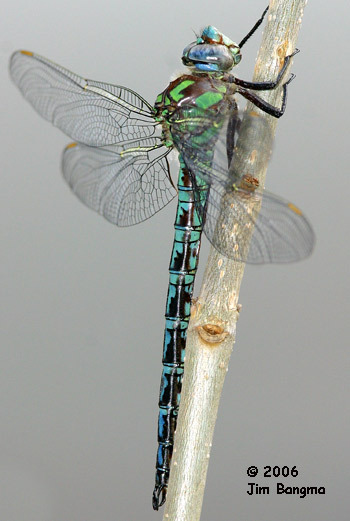 The blue eyes and "nose" can make one think of Spatterdock Darner but the green thorax separates the males readily. The patrolling is also quite distinctive.